Just over two hundred years ago, the Jade Wind changed Cantha forever. All travelers to Cantha are invited to partake in the games, festivities, and quests, or just enjoy the wonders of the season. The festival runs annually from 12:00 p.m. Pacific (UTC -7) on June 27 to 12:00 p.m. on July 4 and features a visit from the Emperor himself! Worried you'll miss the festivities? Mark these dates and times on your calendar! All times listed are Pacific Daylight Time (UTC -7). June 27 Starting at 12:00 p.m. Kaineng Center and Shing Jea Monastery are decorated for the festival, and holiday items begin dropping across the land. 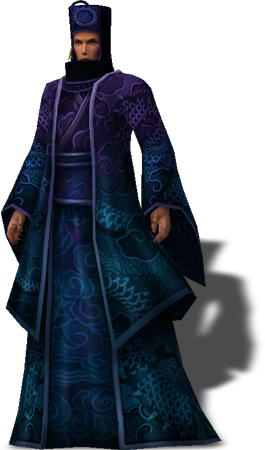 June 28 At 12:00 p.m., Shing Jea Boardwalk, Dragon Arena, and Rollerbeetle Races open for business, and Imperal Guard Hanso begins offering festival quests. June 29 Missions begin and are available for 30 minutes at the times listed below. 4:00 a.m., 12:00 p.m., and 8:00 p.m.
8:00 a.m., 4:00 p.m., and 12:00 a.m.
2:00 a.m., 8:00 a.m., 2:00 p.m., and 8:00 p.m.
4:00 a.m., 10:00 a.m., 4:00 p.m., and 10:00 p.m.
1:00 a.m., 7:00 a.m., 1:00 p.m., and 7:00 p.m.
3:00 a.m., 9:00 a.m., 3:00 p.m., and 9:00 p.m.
5:00 a.m., 11:00 a.m., 5:00 p.m., and 11:00 p.m.
July 4 Dragon Festival Ends at 12:00 p.m.
For additional information about Dragon Festival, check the Guild Wars Wiki! Dragon Festival masks from years past are available from Supply Master Kagno in Shing Jea Monastery. 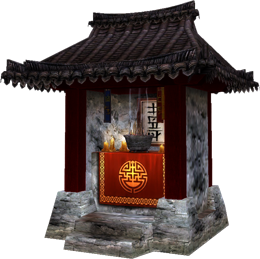 Collect 250 victory tokens during the festival and hand them to Noblewoman Sun Li, who will give you a mask token as a quest reward. Both Sun Li and Kagno will be available for one week after the festival ends. Need a rush? Down this sweet drink for a boost of speed. A spectacular but short-lived sensation for the eyes and ears. Set off a single-shot firework high overhead—please aim away from any and all faces. Put some pep in your step and some zing in your sword swing with these festive cakes. Official drink of the Dragon Festival! Avoid drinking before combat. Do you have a fire burning inside you? You will after you drink this potent concoction! It’s delicious and it delivers a sugar rush—it may be the perfect food. Earn these special tokens by participating in festivities, then exchange them for a variety of rewards.